Teri is a Travel Writer and Photographer for her online travel destination website, BlueSkyTraveler.com. Teri’s career spans over 20 years working in Corporate America as both an employee and consultant for several online marketing companies. During this time, she honed her skills in web development, digital marketing, and becoming a general manager responsible for large multi-million dollar budgets across diverse business teams. She has also ventured out as an entrepreneur creating several online businesses, two of which were successfully sold through acquisition deals. the best luxury travel goods that have been tested, tried, & approved by a trusted source. 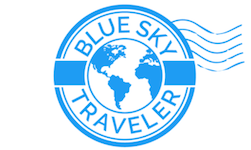 BlueSkyTraveler.com, was created to share these vacation recommendations through a detailed destination blog focusing on Teri’s passion of luxury & wellness escapes, historic destinations and ways to connect with communities on her travels through local traditions & cultural experiences. 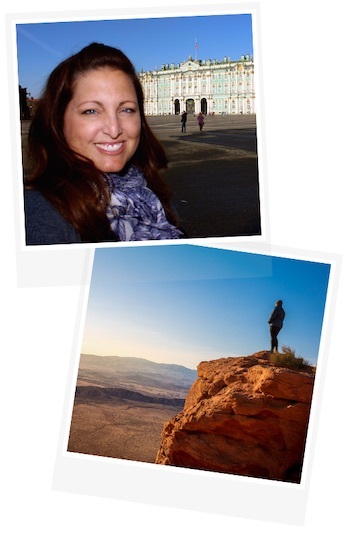 Traveling full-time over 8 years, 64 countries, and all 50 USA states, Teri has combined her travel experience, photography skills with her digital marketing expertise to spread her influence throughout her blog and a variety of social media channels working with select tourism destinations, hotels and brands to create a curated experience for her audience. Teri is currently not-based in any one location. She usually travels around the world at least once per year visiting several continents for months at a time and often one location for an extended period. Her travels are a combination of work engagements and personal travels with the blog always focused on first-hand experiences and recommendations. Austin, Texas which was a home base for several years. … an inspired lifestyle with “Blue Sky” possibilities.